​No Fall season would be complete without pumpkins! And what is more exciting than a good, old fashioned hay rack ride to the field to find the perfect one? Join us at Grandpa's Pumpkin Farm and find unique, one-of-a-kind pumpkins and gourds perfect for decorating, carving, and even cooking! 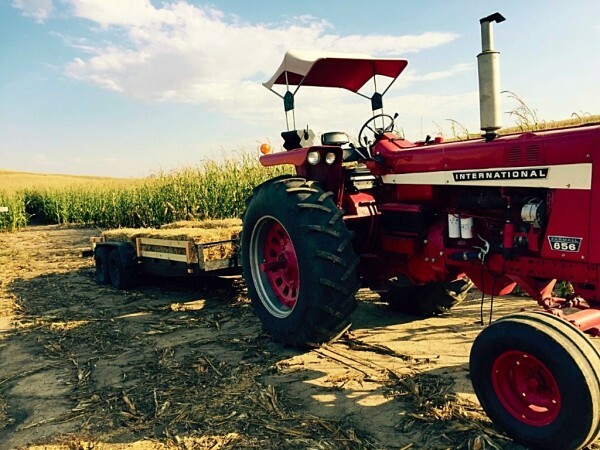 Try not to get "cornfused" in our 5 acre corn maze. The maze is family friendly, but for those of you looking for a spookier experience, watch our calendar and Facebook page for details about a Lighted Corn Maze night! A special thank you to our sponsor, United Bank of Iowa, for making this possible. 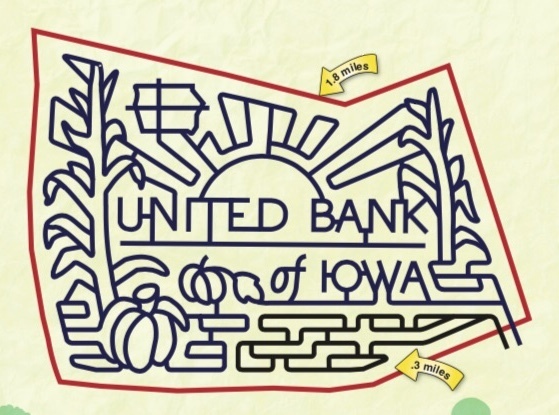 We think the design this year is a-MAZE-ing! The fun doesn't stop here at Grandpa's Pumpkin Farm! 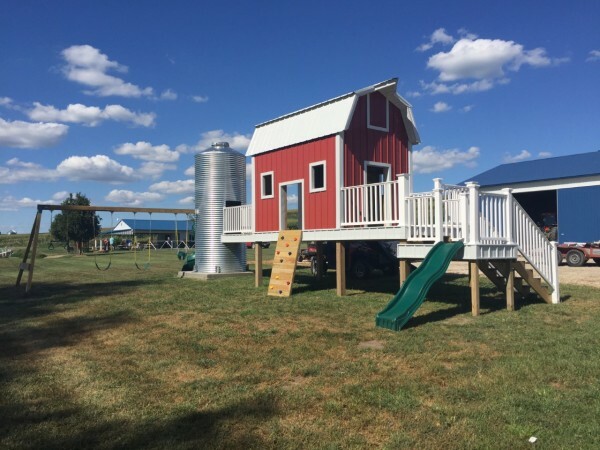 Enjoy a ride on the Freedom Barrel Train, jump your heart out in the boucey house, take a dip in our corn pool, try out the pumpkin sling shot or mini zipline, visit the animals, grab a snack and do it all again! We have fun and games for the whole family to enjoy, check out our photo gallery for more details! ​​​You're bound to get hungry at Grandpa's Pumpkin Farm, but we've got you covered! Our full service concession stand offers a variety of items that are sure to please! NEW this year, fresh squeezed lemonade and delicious kettle corn!